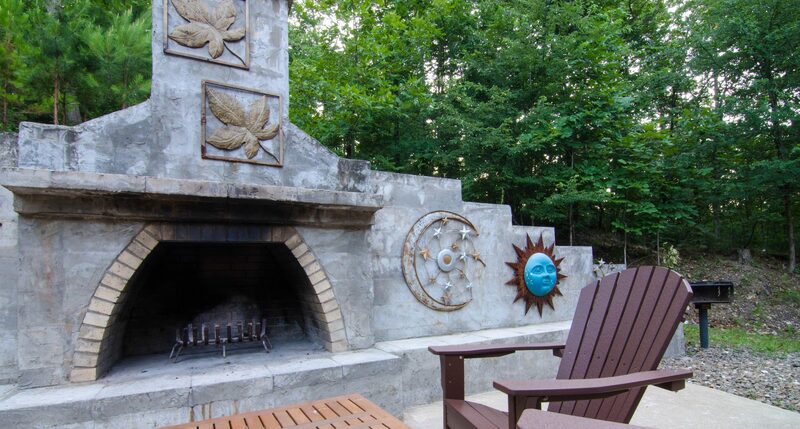 Charcoal Grill, Wifi, DVD, Cable, Foosball, Horseshoes & LadderBall. 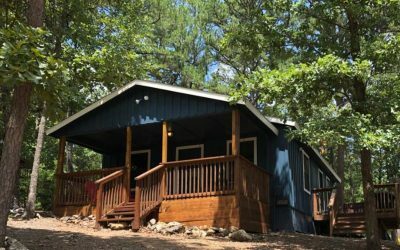 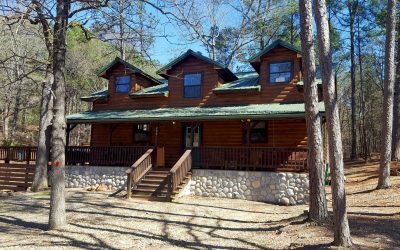 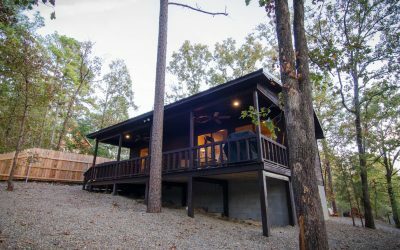 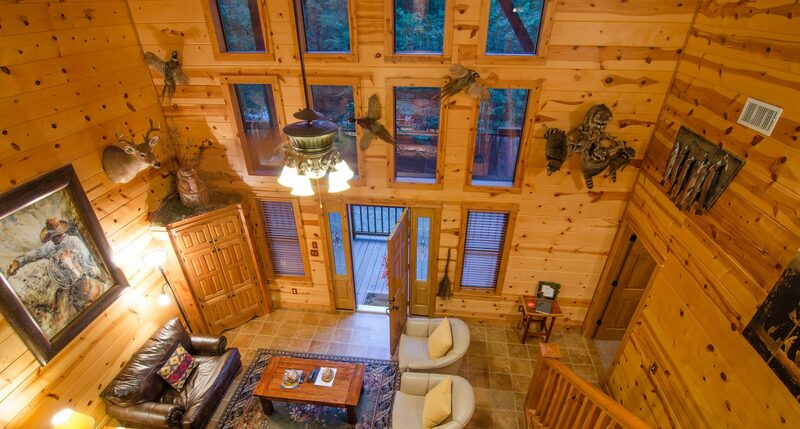 Sleeps 6 – Tucked away, amidst the tall pines on a rocky hill, the Rocky Pines Lodge is great for 4 – 6 adults, or a family. 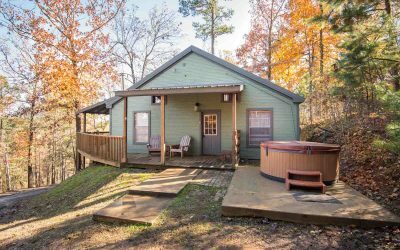 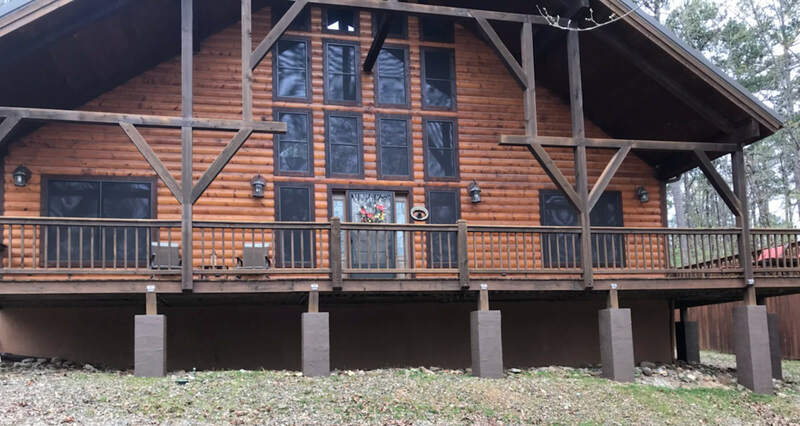 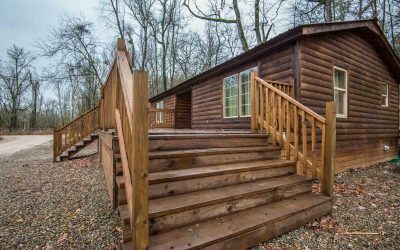 This location can’t be beat – only 5 minutes from the entrance to Beavers Bend State Park, and 8 minutes to Hochatown for dining, entertainment and shopping. 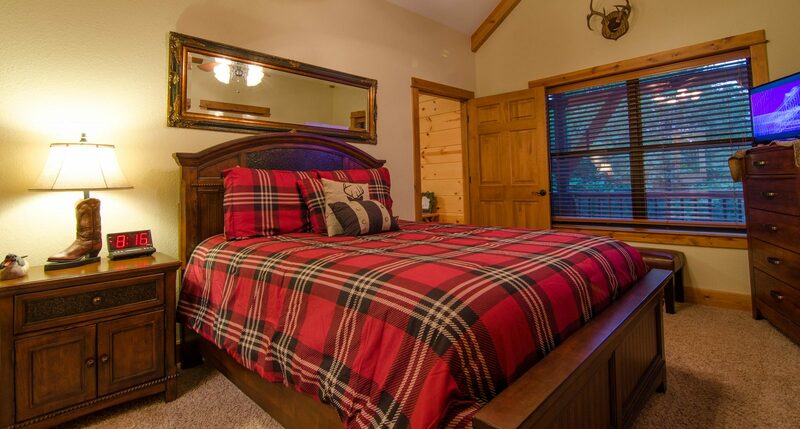 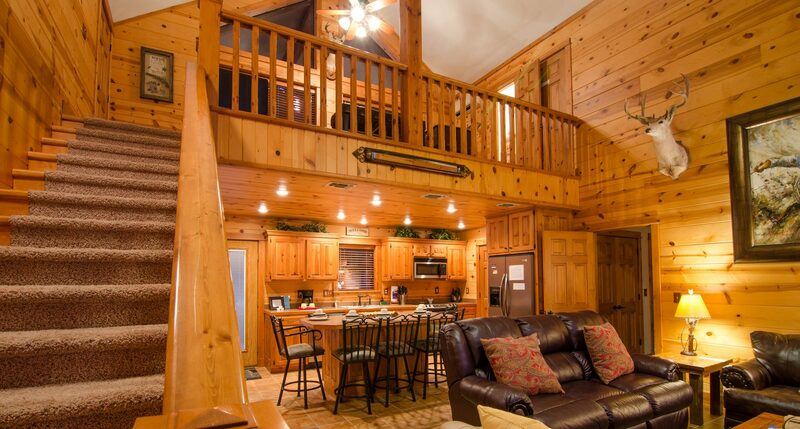 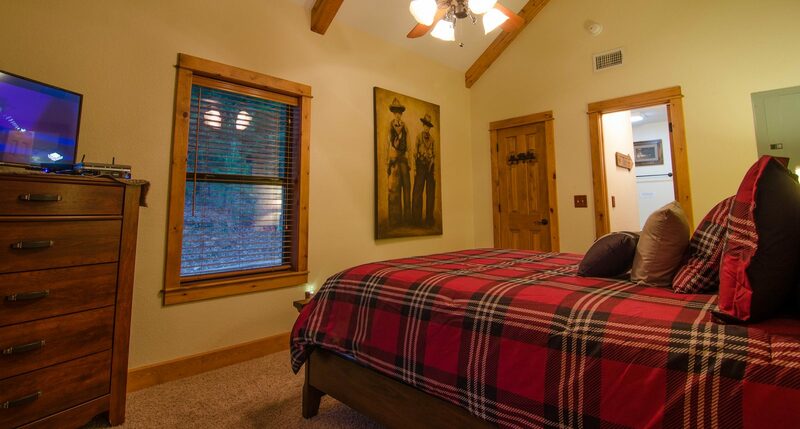 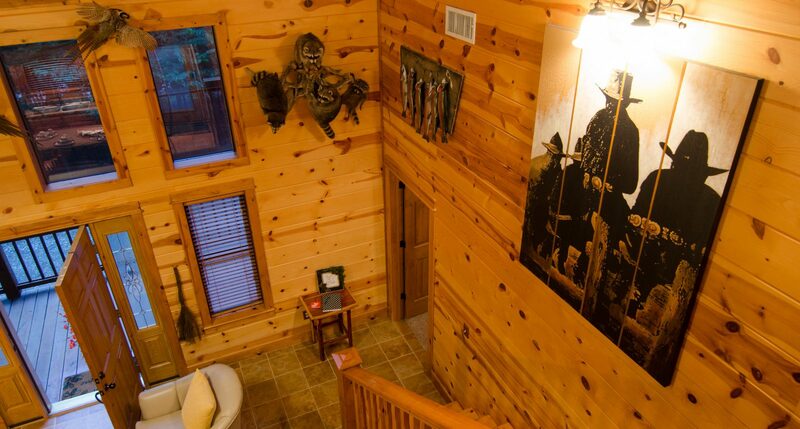 Rocky Pines has two bedrooms, 2.5 baths, plus a loft with queen sleeper sofa. 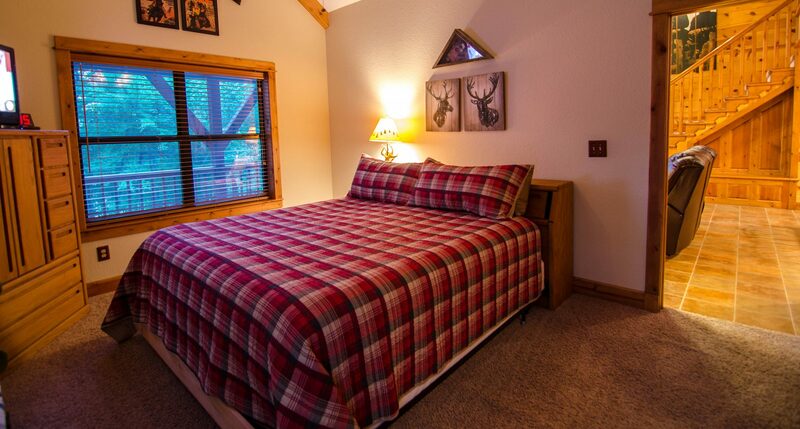 Sleeps 6 in king/queen/queen sleeper sofa. 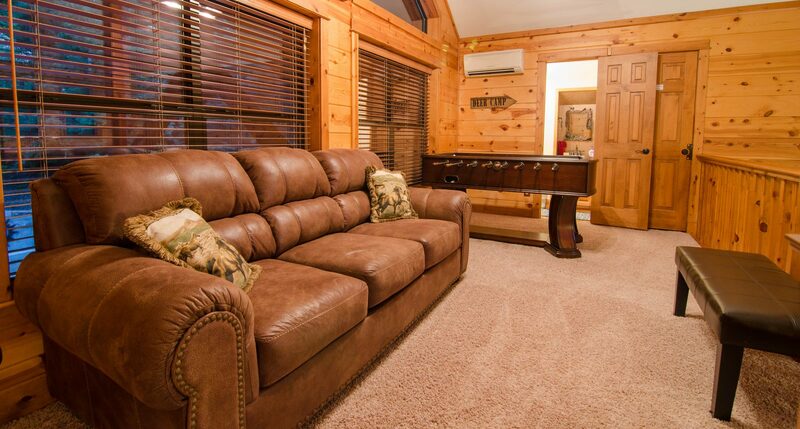 Includes wi-fi, satellite, DVD player, foosball, front loading washer/dryer, and is pet friendly. 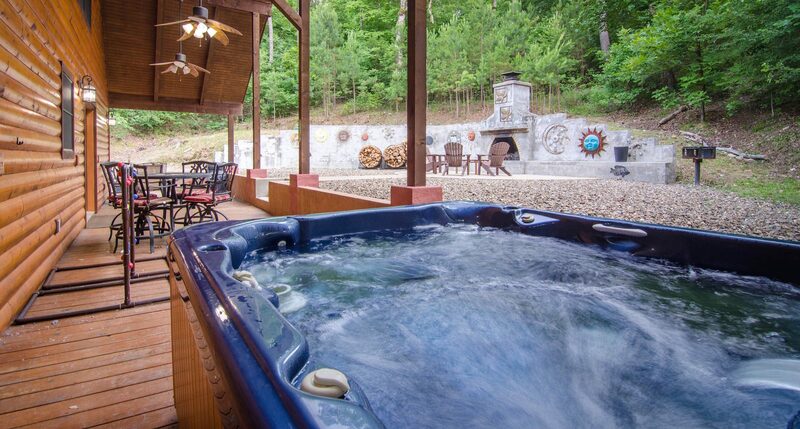 hillside, or relax and share laughter and star gazing in the hot tub after a day on the lake, or on a cool fall evening. 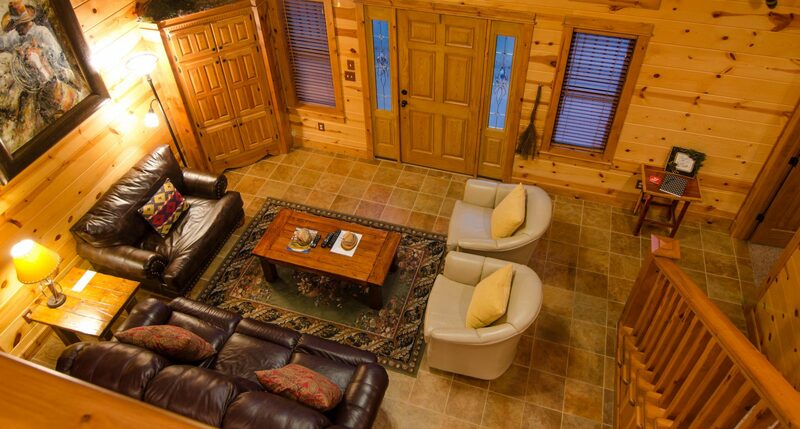 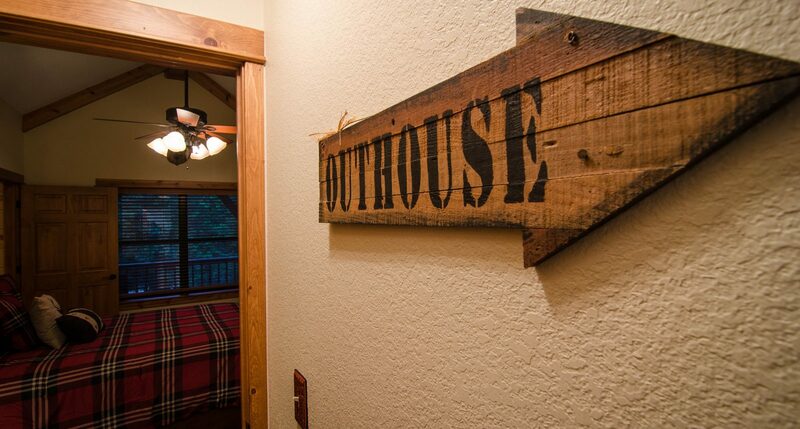 Outside, enjoy the large wood burning fireplace, horseshoes, ladder golf, charcoal grill and hot tub. 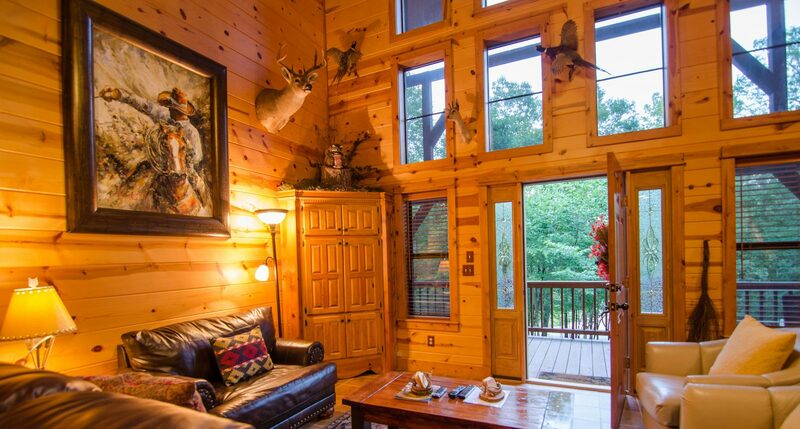 Or, simply savor the serenity and quiet. 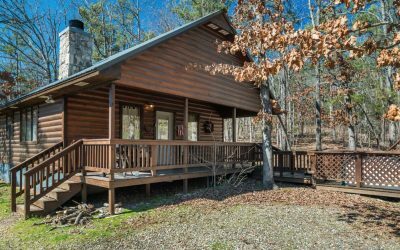 Extra consideration: 1 Acre of land, gated hillside circular drive, and small natural hiking trail on property.